This magnificent property is located on a private land of about 1,500 square meters with a great view that includes the surrounding countryside; an attractive pool of about 70 square meters with a maximum height of 140 cm, in a well-tended garden dominates the scene and offers the perfect setting for outdoor entertaining moments of various kinds in a pleasant and relaxing. The traditional concept that characterizes the exterior is distorted within the villa, characterized by a modern approach to decor, with details and furniture particularly interesting and attractive; all rooms are equipped with every comfort and flooded with light. A spacious lounge welcomes guests, connected directly to a terrace well furnished, the centerpiece is undoubtedly the wide environment that incorporates the living room and dining room, characterized by the presence of natural elements such as stone walls partially naked, especially extremely charming and charming, the atmosphere is light and airy, with an obvious attention to detail and an elegant taste, without compromise to the latest modern amenities like air conditioning, satellite TV and Wi-Fi. A beautiful wooden staircase leads upstairs, where there are three large bedrooms with a dedicated bathroom, on the ground floor there are also two spacious bedrooms furnished with great style and exclusive bath. The fully equipped kitchen is equipped with all appliances, it is easily accessible both from the inside and from the outside where there is a veranda with a characteristic pergola under which to have breakfast in the open air. Outside the veranda, the new sixth room, also with a dedicated bathroom, guarantees maximum privacy. The private pool is set up to enjoy the best view possible and is surrounded by comfortable sun loungers and a large garden where you can relax while sipping a drink; the large spaces available and the many relaxation areas make the time spent in the open air extremely enjoyable, with a multitude of perfect situations for socializing and entertainment moments all hours of the day, outdoor areas equipped for lunches and dinners with BBQ facilities are very welcoming for guests on hot summer days or for romantic dinners under the stars. A great holiday villa in a beautiful rural location not too far from the coast. The villa is extremely well laid out, multiple entertainment spaces, which makes sense for a larger group, the pool is heaven. Oriana is a perfect host, warm friendly and wants you to enjoy your time, nothing is too much! La casa è molto bella e spaziosa. Abbiamo soggiornato tre settimane in 5 adulti e 6 bambini e non abbiamo avuto alcun problema di spazio. Giardino e piscina sono ben disposti e vivibili. Nel complesso una casa ideale per una famiglia molto numerosa o più famiglie. Magnifique propriété située au calme et proche de superbes plages et de toutes commodités. La villa Antica Aia est aménagée avec beaucoup de goût, soignée et parfaitement entretenue. Tout a été mis à disposition pour que nous passions de merveilleuses vacances en familles et entre amis. Les propriétaires Oriana et Michele, que nous remercions vivement, nous ont accueillis les bras ouverts et nous ont fait nous sentir encore mieux qu'à la maison. Grâce à leurs précieux conseils, nous avons eu la chance de découvrir leur magnifique région. De plus, nous avons pu faire appel à une très belle personne Cinzia, la femme de ménage de la propriété, qui est venue au quotidien pour effectuer les tâches ménagères que nous lui avons demandées. Pour faire honneur au BBQ, Oriana nous a transmis l'adresse de la boucherie de sa belle-soeur où nous avons dégusté de délicieuses spécialités siciliennes. Nous recommandons vivement ce lieu d'exception qui nous a fait passer des vacances de rêve avec nos amis. Nous y retournerons c'est certain. Brigitte, Giuseppe, Enzo et Mirea. 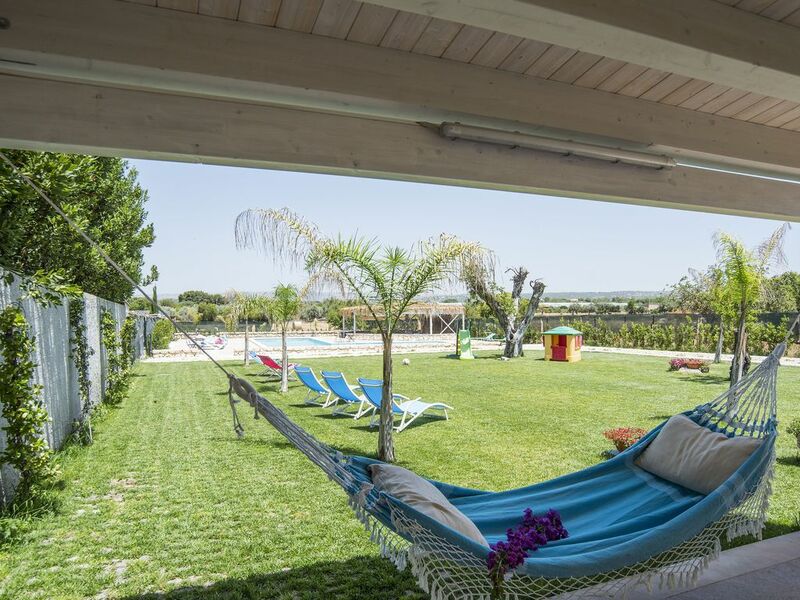 Abbiamo avuto il piacere di trascorrere nel luglio di quest'anno una magnifica vacanza di due settimane con i nostri tre figli presso Villa Aia Relax. Che dire?!? Tutto assolutamente perfetto: la posizione, la piena indipendenza dell’abitazione, la cura nell'arredo, la pulizia, la biancheria in dotazione ci hanno garantito una vacanza di tutto relax e comfort! L'ampio spazio aperto dove si può beneficiare di piscina, amaca, giardino e barbecue hanno fatto la gioia di grandi e piccoli, coccolati, inoltre, da tramonti mozzafiato! Oriana e Michele, proprietari della Villa, sono stati davvero squisiti: disponibili e attenti ad ogni necessità, senza mai essere invadenti, ci hanno accolto con cordialità, garantendoci un soggiorno da sogno... Davvero tutto perfetto ed indimenticabile! Amazing host and beautiful villa! Oriana is an incredible host and made sure our stay in Sicily was perfect. Oriana was always available to provide local information about shops, places to visit and restaurants. She also arranged pizza on our first night and booked us dinner and taxi bus on our second night. The Villa is beautiful and was very spacious for 12 people, each room has its on ensuite. Thank you Oriana for making us feel at home, we can't wait to visit again. Only guests of the Villa have access to the garden and pool. Deposito cauzionale, Caparra richiesta alla prenotazione.